Changes to Freeview around London will lead to a temporary loss of service as channels change frequency: a retune will be required. During the early hours of Wednesday 21st March 2018, technical work will commence at transmitter sites around the London area, which will result in a short overnight loss of service. The work is part of a national programme to clear services out of a range of frequencies that have been earmarked for future 5G services. As a result a number of services will move to new frequencies on Wednesday. Viewers will need to retune from breakfast time onward to restore any missing channels. Viewers receiving their Freeview service from the main Crystal Palace transmitter will be affected by changes to some HD channels, including BBC Four HD and CBeebies HD, as well as specialist channels PBS America, FreeSports and Forces TV. The capital's local TV channel London Live is also affected, as are children's channels Tiny POP and POP Max. Those that receive a reduced Freeview channel line-up from one of the capital's many filler relay transmitters may need to retune to continue receiving basic channels, including BBC One and ITV. 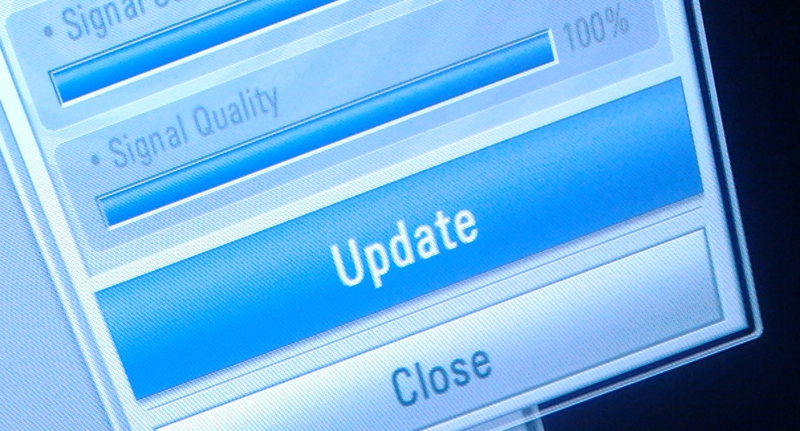 When retuning, viewers with older receivers may need to ensure they do a 'first time installation' or 'factory reset', not 'add channels' or 'scan for new channels'. Further information about what to do if retuning fails can be found on the Freeview website. YouView users, including BT TV, Plusnet TV and TalkTalk TV subscribers are affected, as are EE TV and Now TV Smart Box users in the affected areas. Digital UK, the organisation responsible for the changes, has written to landlords, reminding them that some communal or shared aerial installations may need to be adjusted following the changes, in order to pass through the correct frequencies. London is the latest region to go the frequency adjustment, following similar events in the West Midlands, North West and West of England in recent weeks. Parts of southern England are going through the process at the same time, with a second retune for a small number of viewers in April. Freeview channels are bundled together in "Multiplexes" - changes will therefore affect groups of channels. Your regional news is BBC London News on BBC One and ITV News London on ITV. The multiplex carrying BBC News HD, Al Jazeera HD, 4seven HD and Channel 4+1 HD among other channels (multiplex COM7) is changing frequency - from UHF channel 33 to the new national frequency on UHF 55. It has reduced coverage and is only available on newer Freeview devices. A wideband aerial is required to receive these services reliably. The multiplex carrying BBC Four HD, CBeebies HD, FreeSports, PBS America and Forces TV among other channels (multiplex COM8) is changing frequency on 7th March 2018 - from UHF channel 35 to the new national frequency on UHF 56. It has reduced coverage and is only available on newer Freeview devices. A wideband aerial is required to receive these services reliably. The multiplex carrying local TV channel London Live as well as channels including Tiny POP, POP Max and TruTV among other channels is changing frequency on - from UHF channel 29 to UHF channel 35. The multiplex carrying 4Music, Ideal World, 5Spike, Yesterday and Talking Pictures TV among other channels (multiplex COM6) is changing frequency - from UHF channel 55 to 29. Viewers receiving from Hemel Hempstead will need to retune again on 18th April 2018. A main filler transmitter serving the south of the London TV region. All the main channels, including those from the BBC, ITV, Channel 4 and Channel 5 are moving to a new frequencies, from UHF channels 60, 57 and 53 to 23, 26 and 30. Most commercial channels, including Sky News, Dave, Quest and 4Music are unaffected. If your local relay transmitter is not listed, then there are no changes on 21st March 2018. All Freeview channels broadcast from this relay are changing frequencies on 21st March 2018, from UHF channels 59, 55 and 50 to 29, 31 and 37. New aerials may be required to continue receiving all channels. All Freeview channels broadcast from this relay are changing frequencies on 21st March 2018, from UHF channels 60, 57 and 53 to 41, 44 and 47. The multiplex carrying London Live, Tru TV, POP Max and Tiny POP among other channels is moving from UHF channel 29 to 35. All Freeview channels broadcast from this relay are changing frequencies on 21st March 2018, from UHF channels 52, 56 and 48 to 39, 42 and 45. All Freeview channels broadcast from this relay are changing frequencies on 21st March 2018, from UHF channels 43, 55 and 50 to 29, 31 and 37. All Freeview channels broadcast from this relay are changing frequencies on 21st March 2018, from UHF channels 52, 48 and 56 to 39, 42 and 45. All Freeview channels broadcast from this relay are changing frequencies on 21st March 2018, from UHF channels 48, 52 and 56 to 39, 42 and 45. All but the HD channels are changing frequencies on 21st March 2018, from UHF channels 56 and 58 to 33 and 36. HD channels will change on 18th April 2018; a further retune will be required then. All Freeview channels broadcast from this relay are changing frequencies on 21st March 2018, from UHF channels 59, 55 and 53 to 31, 32 and 37. All Freeview channels broadcast from this relay are changing frequencies on 21st March 2018, from UHF channels 49, 58 and 54 to 33, 36 and 48. The transmitter power will be increased to maintain coverage. All Freeview channels broadcast from this relay are changing frequencies on 21st March 2018, from UHF channels 41, 44 and 47 to 40, 43 and 46. The multiplex carrying ITV, Channel 4 and Channel 5 among other services (Multiplex PSB2) is changing frequencies on 21st March 2018 from UHF channel 55 to 54. Further changes will take place in the future to completely remove services out of the future 5G frequency range. All but the HD channels are changing frequencies on 21st March 2018, from UHF channels 59 and 55 to 37 and 31. HD channels will change on 18th April 2018; a further retune will be required then. All Freeview channels broadcast from this relay are changing frequencies on 21st March 2018, from UHF channels 40, 43 and 46 to 33, 36 and 48. All Freeview channels broadcast from this relay are changing frequencies on 21st March 2018, from UHF channels 50, 55 and 59 to 40, 43 and 46. All Freeview channels broadcast from this relay are changing frequencies on 21st March 2018, from UHF channels 58, 49 and 54 to 39, 42 and 45. All Freeview channels broadcast from this relay are changing frequencies on 21st March 2018, from UHF channels 59, 55 and 50 to 29, 31 and 37. All Freeview channels broadcast from this relay are changing frequencies on 21st March 2018, from UHF channels 59, 55 and 50 to 41, 44 and 47. No changes - however the transmitter power will be increased to maintain coverage. All Freeview channels broadcast from this relay are changing frequencies on 21st March 2018, from UHF channels 60, 57 and 53 to 29, 31 and 37. The transmitter power will be increased to maintain coverage. All Freeview channels broadcast from this relay are changing frequencies on 21st March 2018, from UHF channels 59, 55 and 50 to 33, 36 and 48. The transmitter power will be increased to maintain coverage. The multiplex carrying BBC One London, BBC Two, BBC Four and CBBC among other channels (PSB1) will be moving from UHF channel 49 to 39. The multiplex carrying ITV, Channel 4 and Channel 5 among other services (Multiplex PSB2) is changing frequencies on 21st March 2018 from UHF channel 56 to 36. Further changes will take place in the future on 18th April 2018; a further retune will be required then. All Freeview channels broadcast from this relay are changing frequencies on 21st March 2018, from UHF channels 46, 43 and 40 to 41, 44 and 47. (C) a516digital 2018. Data from Digital UK, Ofcom. Most other areas of the UK (not Northern Scotland) will be affected by mid-2020. Northern Scotland has already completed the clearance programme. It's expected that the 700MHz frequency band will begin to be used by 5G services instead of Freeview in 2020.